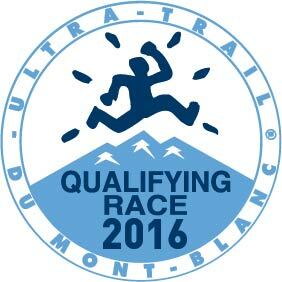 GR BHATTI LAKES ULTRA is an UTMB qualifier, awarding 4 points in the 220Km category, 2 points in the 160Kms and 1 point in the 100Kms category. Cut – off times: Solo and Relay. The race starts at Kant Enclave, Suraj Kund, Faridabad. The best way to reach the location is to follow directions to Karni Shooting range near Asola Wildlife Sanctuary (also Tuglakabad Fort area). If you are arriving from Delhi side and the Shooting range is on your left, continue and follow the road till you reach the police check post and Kant Enclave is immediately after that on your right. If you arriving from Faridabad side, Kant Enclave is on your left before the police check post. If you reach the shooting range, you have gone too far. Attending pre-race briefing is highly recommended. No bibs will be distributed beyond the designated time of October 13 and October 14. If you are unable to attend the briefing or pick-up your bib personally, ensure you assign someone to the task. Friday: Bib Collection at Reception Area of A & S Creations, 6/7 West Patel Nagar (close to Patel Nagar Metro Station on the Blue Line heading to Dwarka, Delhi Metro), New Delhi 110008. Phone +911145789911-18. Time: 10am – 7pm. b. Drop bags will also be collected for the ultra categories (100Kms, 24 hours, 80Kms, 50Kms) on October 14, 2016 until 6pm at the A&S Creations Office, 6/7 West Patel Nagar (close to Patel Nagar Metro Station on the Blue Line heading to Dwarka, Delhi Metro), New Delhi 110008. Phone +911145789911-18. Race venue is 30 km from Delhi city limits, and will require prior transportation arrangements to get to the venue. Aid-station support providing water, ice, electrolytes, fruit, energy drinks, salty snacks, candy, ice and medical aid at 5-km interval. Tents for 220Kms, 160kms, 100kms and 24 hour category runners to rest, at the start point aid-station. Water, basic food and first-aid provided to all registered crew-members carrying their crew tags. Please ensure you bring ample energy supplements, food, and personal medical supplies (if any are needed). You will be allowed one drop-bag at each aid station (as per your race category). There will be aid-stations at every 5km interval. 100 mile and 220KM participants should be accompanied 2 and 4 crew members respectively for pacing and/or support. 24-hour participants are allowed 2 crew members each. Please ensure organizers are intimated at least two weeks before the race and register your crew members so they can receive their personal crew tags on the day of the race at the race venue. No crew members will be allowed on the route without registration or their crew tags missing. No vehicular support is allowed on the route except for organizer’s vehicles. 50KM, 80KM, 100 mile and 24-hour and 220Km participants should carry mandatory night running aids such as headlamps or torchlight, reflective vests or armbands and whistle. Please refer to your confirmation letter for mandatory gear requirement applicable to your race distance. Drop bags are allowed for all race participants. Number of bags for each category stated below. Each drop bag must be neatly tagged with the name tags provided in your race kit. All relay members must complete an equal distance. No restriction on who may start first. The next relay member must be ready at aid-station 1 to start their leg of the relay once the previous member completes his/her portion of the relay. Please ensure you get a medical check at least a week before the race covering all vitals to ensure your physician clears your for running. Cancellation: No fee reimbursement but a one time roll-over of 80% of the fee to next year is allowed. I have not run any full marathon till now because of absence of such races in Delhi. I have been preparing for Banglore ultra 75km in Nov. for past 2month and think I can run 50km . Is it possible to register ? Hi Satyadeep, it was great to recieve your email You are welcome to register for 50K but as said in the email please do use the criteria as a measure. We encourage runners to come with enough miles in their legs so that the race is an enjoyable experience and is a milestone reached. Cheers! I am very much interested in ultra running and currently I am building up my stamina for Airtel Delhi half marathon..post this race I am willing to train for ultra runs like 50kms..plz tell me can I come to see this race on 2oct to get first hand knowledge about ultra racing…in this way I can meet other participants also which would be helpful for me in future..
Additionally we have two trial run coming on the original route. Please check our Facebook page. Cheers! can we change our race category? i have registered for 10K,but now want to do 20K.is it possible?? Hi Charanjeet, yes, you can. Please send us an email to info@globeracers.com and we will update the category and send you an invoice for the balance payment. Hi Sumesh, number of races in a year count towards discount. You can find the coupon codes when you go to registration page on Webscorer, in the race details section. Do mail us info@globeracers.com if you need further assistance.